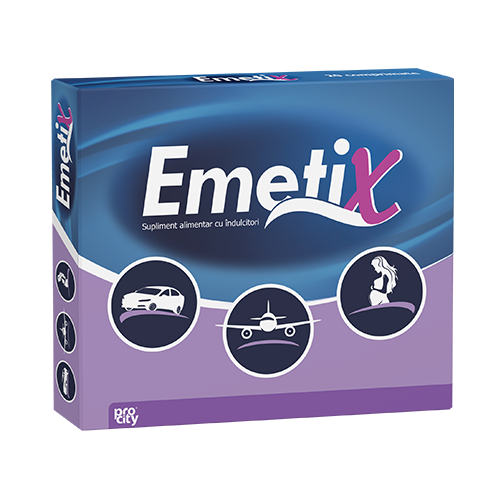 Emetix is a unique combination of vitamin B6 and ginger extract standardized in gingerol. Ginger, a well-known spice, is also used as digestive tonic. Through its content in gingerol, the ginger extract favors the gastric emptying toward the intestine, thus removing one of the causes which contributes to abdominal discomfort after overeating. Vitamin B6 is well known for its benefic action in the nervous system functioning.